Christmas is a time of fun, activity, decoration, lights, music, togetherness, food, desserts, cakes and much more. This is the most awaited festival of the year where preparation begins weeks in advance, Whether it is planning a meal, giving gifts, decorating Christmas tree, baking a cake -the whole family comes forward and share their ideas to make home a merry place in the festival. 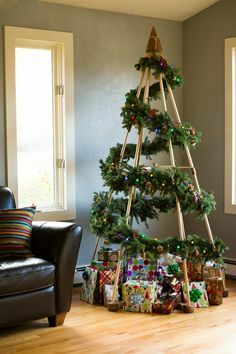 Christmas tree has always been a central theme of decoration and each year people try to experiment with new ideas to make it look different from previous year. It calls for a lot of creativity turning it into it a fun filled and exciting activity for the whole family. The result of everyone’s hard work in form of a beautiful heartfelt Christmas tree is rewarding, fulfilling and aspiring enough for everyone to enlighten their spirits. Whichever way one chooses to decorate , pay attention that your Christmas tree comes out with an elegant and classy look .Plan in advance, discuss in group, arrange your budget beforehand , procure decorative items like garlands, lights, ribbons etc. and then arrange them in an orderly fashion on your tree. 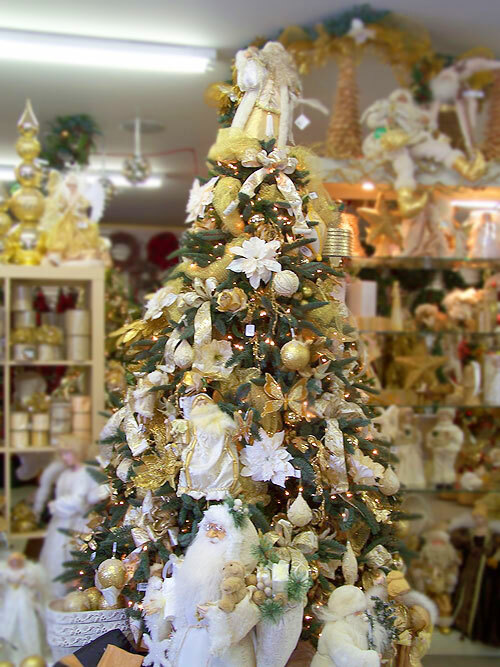 Why not try blend the look and feel of your tree with flavors of surrounding. Look out for decorative items that will compliment with your home décor and interior. To complete the look, neatly wrap a garland of magnolia leaves around your whole tree with staples. Chose a color theme and follow it consistently on whole tree to give a cohesive and complete look. It need not be in contrast to the setting of your room where it is displayed. Few of widespread color themes are –classic red and green, icy wintry colors like blue, silver, white and purple, metallic colors like gold, silver and bronze, warm color theme that includes red, gold and orange decorations, cool color theme of purple, green, silver and blue. Once you have chosen a theme, do not mix and match with other colors to dislocate your idea you want to portray. 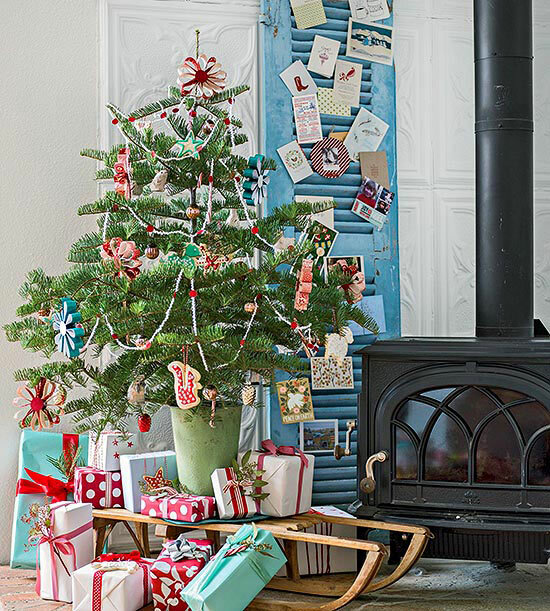 Softly wrap the tree with strands of garlands made of delicate glass items, mini ornaments, colored popcorn, jelly beans and any item matching your color theme. They also do wonders in concealing those ugly spots in the tree that can be an eye spoiler. Stick to color patterns from dark to lower tones as you taper to the top. You would have kept memorable old items crafted when your daughter was 7 or when your grandmother gifted an angel or snowflakes brought by your husband on your first Christmas together. Blend these cherished items with your new collections with harmony so they complement rather than compete with each other. Lastly give a finishing touch to your style with decorative and bright lights which come handy in many shapes and sizes. Chose a pattern of wiring that will comprehend the whole look of your tree and stand out this season with your astounding Christmas tree ideas.